Tuesdays – Men meet for prayer at 6:30 AM in the sanctuary. Wed: Women meet for prayer at 8:00 AM and for Bible Study at 9 AM. We will have the coffee pot on; hope to see you there! 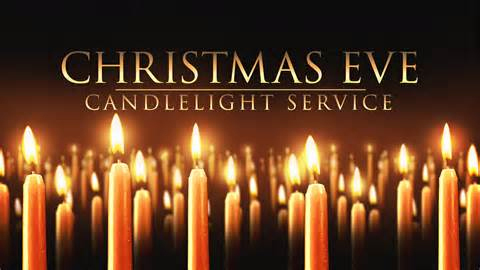 Long Lake Christmas Eve candlelight service will be Wednesday, December 24th at 6 PM. Invite family and friends to join us! Mark your calendars to attend the Long Lake Christmas Eve candlelight service Wednesday December 24th at 6 PM. Forward this picture to your friends to remind them to join us! Wednesdays: The Women’s prayer group meets at 8:00 AM in the Fellowship Hall. See Karen for more info. Saturday, December 13th at 4:00 is the LLWC Adult Christmas Party. This is a fun, silly, Chinese auction. Please bring a “White Elephant” gift of $5.00 value or less, and a dish to pass. Saturdays: Fusion Youth Group meets from 6:00-8:00 PM. Sundays: Children’s Church is for K-4th graders and meets during the worship service (11:00). Sundays: The Nursery is available during worship (11:00). Pastor’s Open House for Christmas is Friday, December 19th from 6:00-9:00 PM at the Parsonage. Amy and Pastor John ask that you not bring anything! They’ll be serving appetizers and desserts. December 24th: Christmas Eve Candlelight Service at 6:00 PM. Bring your family and friends for our intimate gathering! Pastor Appreciation: Before our dear friend Art Brockner died it was his wish that the Gocke family use his time share in Orlando, FL and go to Disney World as a family trip. Since we did not do a formal Harvest Sunday or Pastor Appreciation gift from the church family I’d like to try to raise the $2700 needed to get them there and to Disney. If you would like to help fulfill Art’s wish please mark your love offering “Pastor appreciation”. They would be going Jan. 12 – 15. I’m sorry I didn’t get this out sooner. Please pass on the info to those who would be interested. Still make out checks to the church but mark for Pastor (from Gail Seaman). If you have any questions, Contact Us or call the church office at 518-624-2411 or email Pastor at DrJohnGocke@hotmail.com.